The Eco-King 600L Composter from Storemore makes it easy to recycle your green waste and produce rich fertilizer for use on your plants and flowers. Just lift the lid on top and add your grass clippings, leaves etc. and then let nature do the work for you. Once fully composted and ready for use on your garden there is a removable front panel (at the bottom of the composter) that when opened gives you access to the fertilizer within. 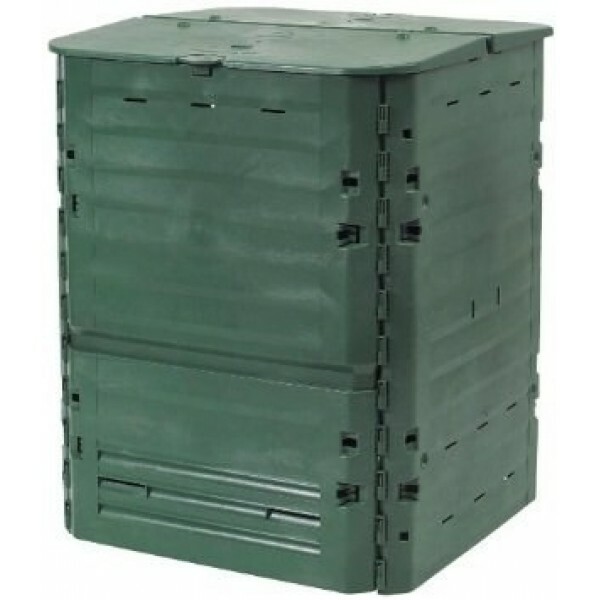 Manufactured from durable, recycled plastic with built in ventilation holes this composter has been optimised to produce ideal conditions for year round composting. For best results: It is recommended that the Eco-King Composter be placed in direct sunlight within a wind sheltered area. The composter should also be placed directly onto soil to allow natural microorganisms to access the contents and break down the substrate.